Are you a list person? I am a lover of lists. Do you sometimes write things down on your to-do list that you’ve already accomplished that day just so you can check them off? Yeah, me too. The feeling of moving forward, even if it’s only inch by inch represented with a tiny checkmark, makes me feel lighter, and happier with each and every check. According to the book, The Entrepreneurial Instinct: How Everyone Has the Innate Ability to Start A Successful Business, the reason that productive people like us feel a need to check things off a list to make us feel better is actually rooted in a physiological process that happens in our brains when we accomplish a task. Dopamine, a neurotransmitter in our brains responsible for pleasure, is released each time we have a success. When this happens our concentration increases and we innately want to re-experience the activity that created the chemical release. That explains why checkmarks propel us forward and breed success. All those happy accomplishment-goodness-vibes do not even seem to exist on days we can’t get anything done. On those days, you know the ones, where it seems like your boss and all of your co-workers are in cahoots and decided to schedule a bunch of last minute meetings on your calendar without asking first? This including the co-workers on the East Coast, so there goes your lunch hour cuz nobody in NY cares that it’s Noon in LA when it’s 3pm where they are. There went your productive work time as well as your personal self-care time for your day. Or maybe your workday is sailing along just fine until you get a call mid-morning that your child is sick and you have to leave early to go and pick him up. Now the at-home time you meant to spend meal-planning, balancing the checkbook or paying bills has been completely eclipsed by caring for the lovely little person you were given to build an entire lifetime relationship with but you just didn’t plan for that much relationship time today. As much as we may try to plan ahead, there will always be these unproductive days when our lists just seem to sit there untouched, mocking us without a single check mark by the end of the day. Life happens. No planning can change that inevitable fact. But you can set yourself up for enough happy accomplishment vibes on productive days to float you on days when life gets in the way of your plans. The key is to format your to-do list in such a way that even if you have a unproductive day, you still feel accomplished by the end of the week. 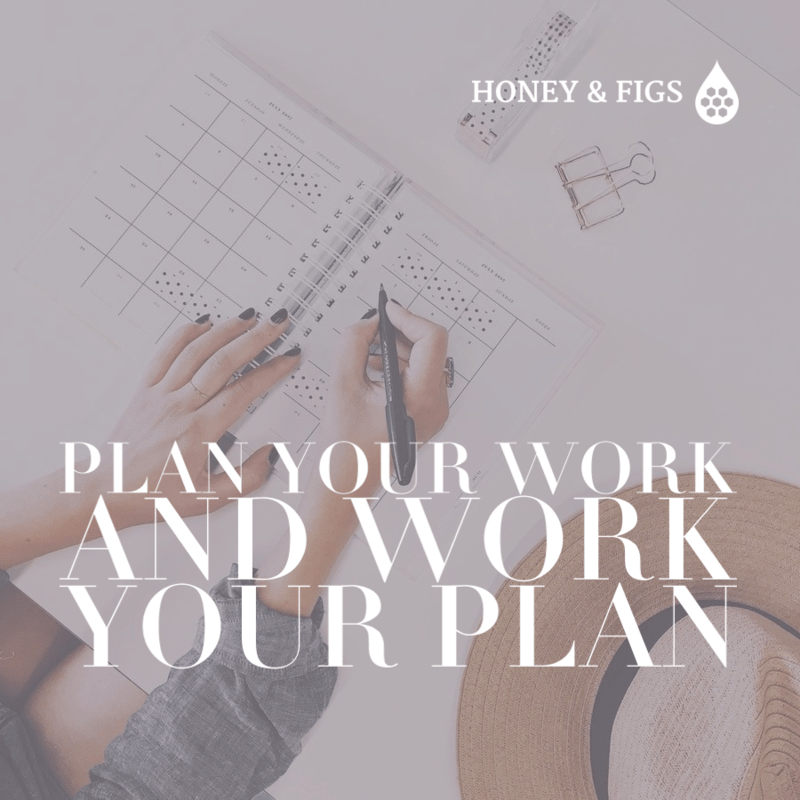 I will show you how I re-formatted my to-do list to keep hope and happiness alive at the end of those unproductive days, starting with my list making mistakes. When crafting my list, I used to just try to think of all the things I had to do that day and jot them all down on a jumbled list. The problem with this approach is that we have lots of different responsibilities in our lives, I call them spheres of life. 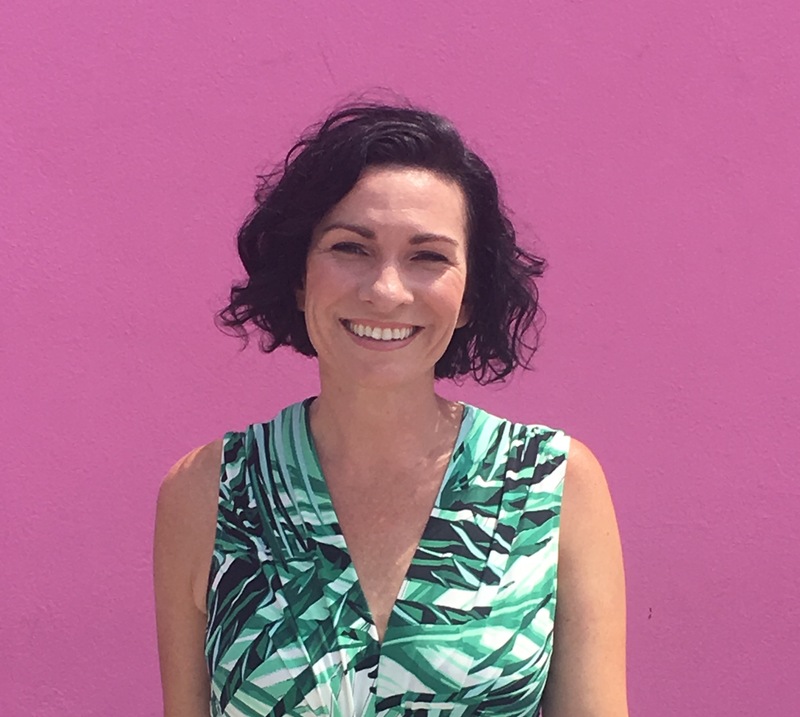 Creating a list with no respect to spheres of life resulted in a feeling of overwhelm and often I didn’t know where to start. Because I didn’t know where to start, I used to try to accomplish the smallest tasks first to get a bit of success under my belt to propel me into the day. I did this for years and I found it worked for motivation but did not work in the end for productivity because I was not focusing on the most important tasks of the day. I wasn’t focusing on those to-do’s that took a lot of time and thought but were not urgent so it was easy to push them off onto the next day’s list. You know this is a problem when you’re pushing the same tasks forward for months. Chugging along, I’d get to the end of my day and have lots of tasks to move to the next day. This didn’t bother me on days I had lots of checkmarks but on other days I would find that I was so often setting myself up for failure because I didn’t assign a specific time to accomplish each task. I didn’t realize how unrealistic it was to accomplish everything on my list because more often than not, there were more tasks on my list than there were hours in the day. Before writing any tasks on my list, I started with the four spheres of my life which are church sphere, blog sphere, self care sphere and household sphere. Yours might be work sphere, kids sphere, home sphere or volunteer sphere, wife sphere, self sphere. It’s important to customize your own according to the different areas of your life that you need to focus on. Next, I wrote down the tasks I needed to do that day for each sphere until I couldn’t think of any more. This gave a certain structure to my day and mattered a lot when it came to my time management Supercharge solution #3. As I scanned my list of tasks, I noticed there were some things I really needed to do that day but didn’t really want to do because they took too much time or too much energy or were just plain hard. They were important but my feelings toward them made me want to leave them on the list as long as possible. I decided which tasks on my list were truly important to me and of those prioritized the hardest ones first. This solved the problem of procrastinating tasks into oblivion. I reviewed my list of to-do’s, starting with the most important tasks and asked myself the question “when can I actually accomplish this task today?”. Then I assigned a time slot for a realistic time that day I could do it. For instance, I knew I’d need to pick up my son at 3:30 so I’d schedule to blog for 90 minutes from 1:30-3:00, when I knew the house would be quiet. It’s even better if you can put the tasks directly into your calendar but I enjoy the handwriting process of a notebook and pen, so I add the tasks to my digital calendar later or not, depending on the day. The important thing is just to assign the time. The beauty of assigning a time for each one is that you know at the beginning of your day exactly what you will NOT be able to get to instead of having to wait until the end of the day to discover it. You can automatically move those tasks to the next day. You’ve already maximized your day by removing the problem of overwhelm that stops so many of us from accomplishing anything. 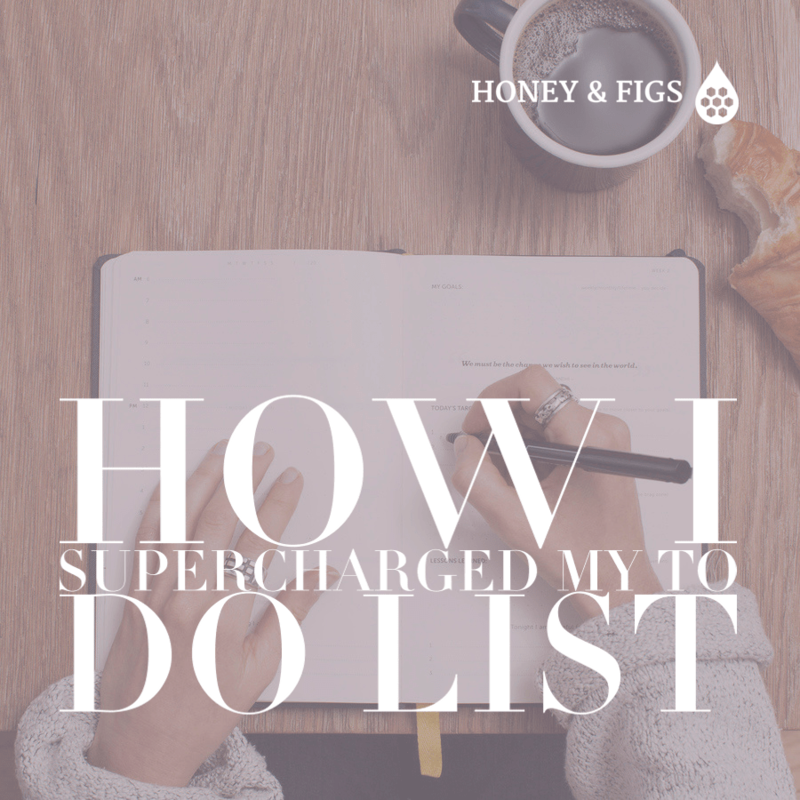 At first glance, it may not seem like such a valiant thing to supercharge your to-do list but implementing this process didn’t just make me more productive, it made me more mindful of the time I had. Our lives are built one day at a time. This process showed me exactly how much time I was spending or not spending each day with the ones I loved most. Knowing that allowed me to calendar the time necessary to strengthen my relationships and focus my time on the things that will build my life. As you work to maximize your time, remember that aside from accomplishing tasks, you are working toward freeing up the finite amount of time you have to focus more on the ones you love. This is one of the keys to abundant living.